We’ve spotlighted the amazing talents of artist David Yardin once before, but Yardin recently posted some new artwork on the Ororo Munroe/Storm Appreciation Thread on Comic Book Resources in which he recreates the cover of Giant Size X-Men #1 and the pages from when Professor X recruited Storm for the X-Men! Compare Yardin’s recreation with the inks from the original page below (drawn by Dave Cockrum and inked by Gil Kane). 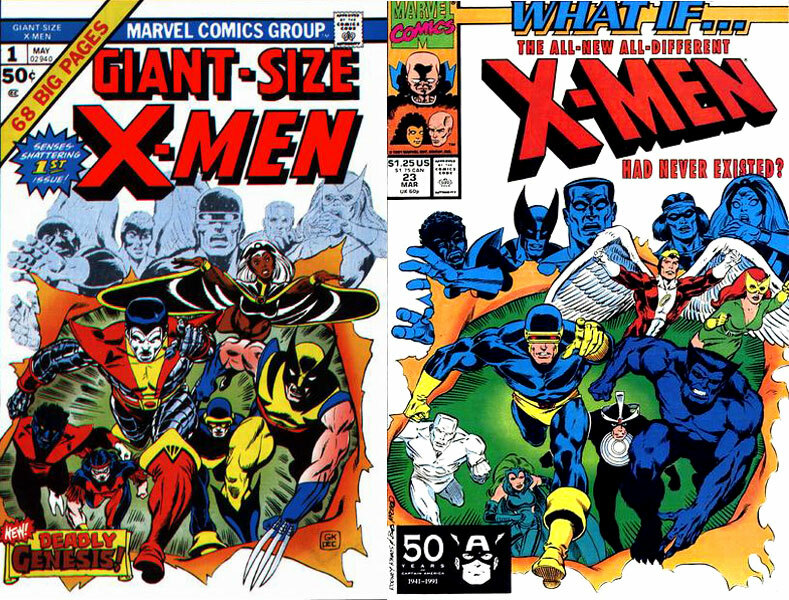 The original cover (above, sans logo) is a comic book classic. It has been homaged and parodied countless times. Above, David Yardin depicts the opening scene of Storm’s origin. The original artwork by Cockrum and Kane. I was unable to find complete scenes of the Giant Size X-Men #1 pages for Storm, but the images I show here are more than enough to see how Yardin uses them as inspiration while applying his own artistic sensibility. David Yardin’s second page maximizes the effect of seeing Storm in her elements. By breaking the borders of the middle panel, he literally electrifies the page! Cockrum and Kane’s original telling. The rendering of the rain feels palpable! Yardin takes some liberties with the original story (mostly by expanding some panels here and enlarging figures there), but pays homage to the original with respect. My wish is that Marvel assigns Yardin to a Storm ongoing series (or at least a mini-series). His Storm is modern, but a sum of all of the best aspects of Ororo. By returning to Storm’s first appearance, he reminds us of the grandeur and simplicity that introduced her. He reminds us of her classic character creation and comic book roots. David Yardin is available for commissions and has a sweet deviantART site. Beautiful work!